Panelists at the Cannabis Impact forum were (l-r) Sonoma County Ag Commissionor Tony Linegar, Tawnie Logan from the Sonoma County Growners Alliance, John Mayer from the Boulder CO Chamber of Commerce, Go Local's Terry Garrett, and Hezekiah Allen. 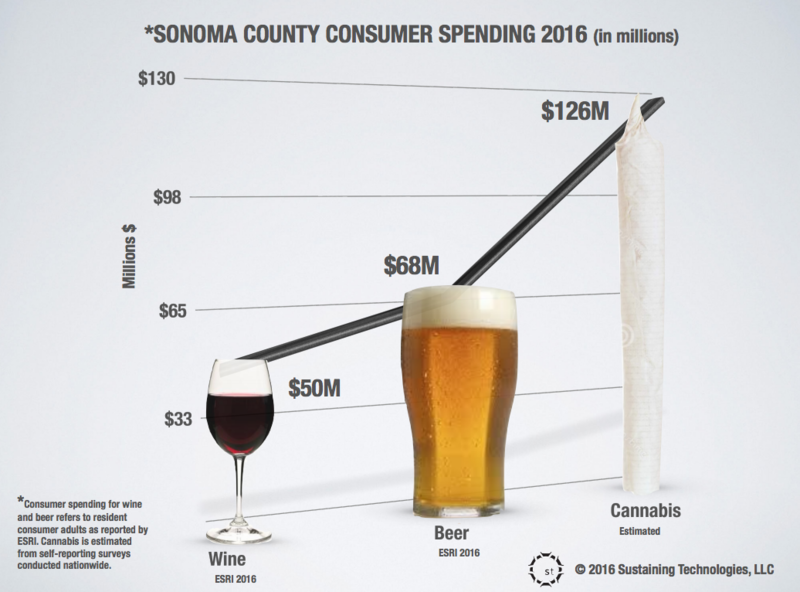 Recent analysis shows that consumer spending for cannabis and related products in Sonoma County has outpaced spending for been and wine combined. With new legislation at last providing uniform statewide guidelines for medical marijuana in California, and the possibility of legalizing recreational use on the November ballot, cannabis is attaining new visibility in the business community. But that is accompanied by a great deal of uncertainty, which was a big part of the discussion at a Cannabis Impact conference in Rohnert Park this week. 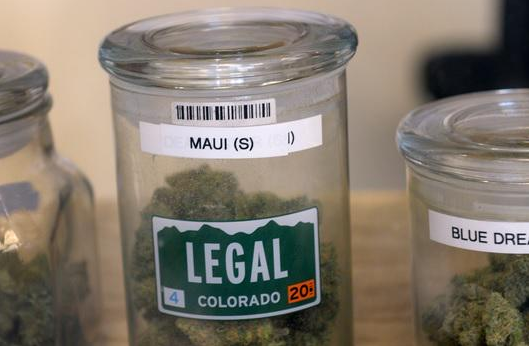 Colorado has led the way in creating a workable regulatory environment for legal marijuana sales and consumption. Now that the state has adopted a more detailed governing framework for medical marijuana, it’s up to local governments to enact rules covering land use issue, permitting, and associated regulations. Terry Garrett, co-director of Go Local Sonoma, says that needs to happen quickly, for the sake of all involved parties. Even as the legal parameters of the medicinal cannabis world are coming into clear focus for the first time, further big changes lie ahead if Proposition 64, The Adult Use of Marijuana Act, is approved by voters in November. Hezekiah Allen, Executive Director of the California Growers Association, says the initiative is a mixed bag, as far as his membership is concerned.